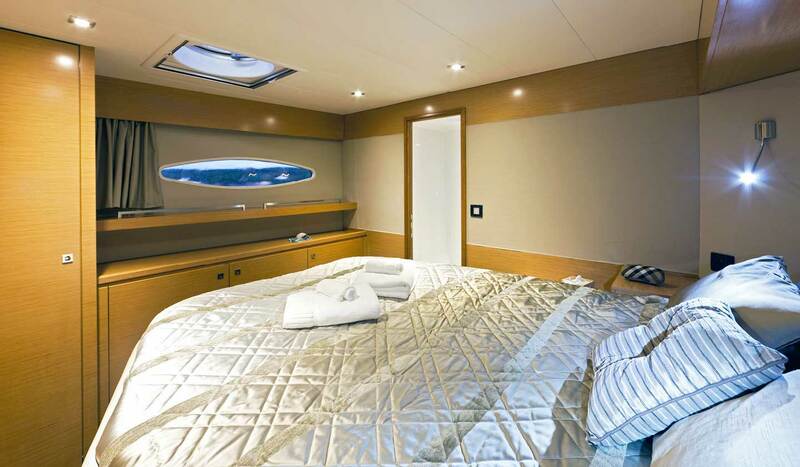 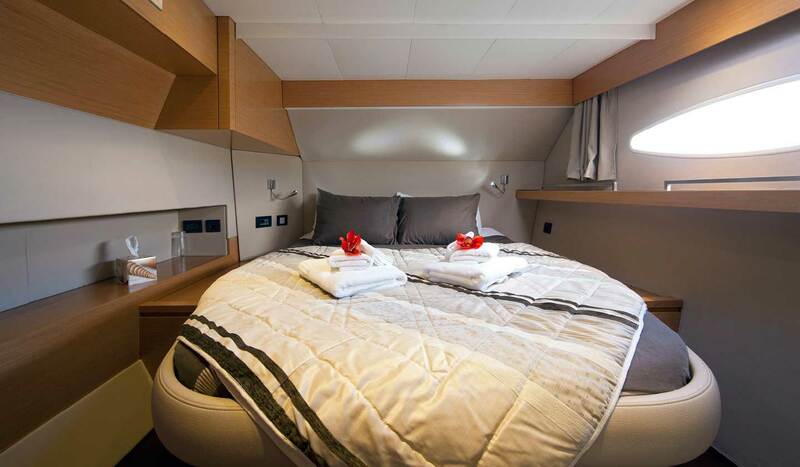 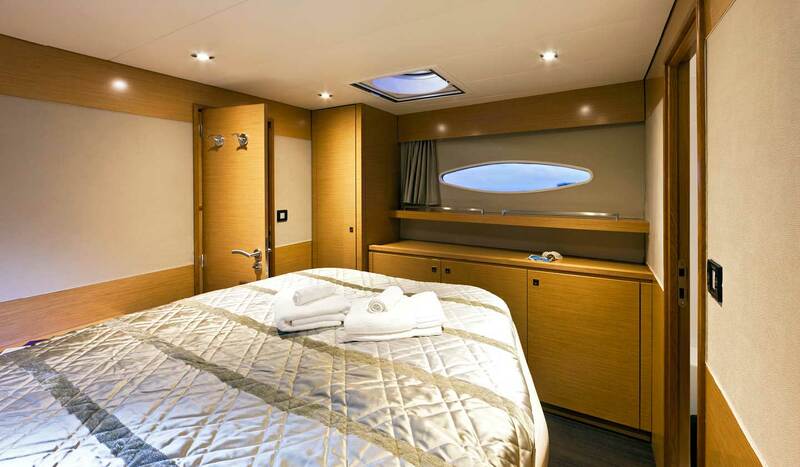 A spacious, private suite complete with a queen sized bed, an en-suite bathroom and air conditioning on a fabulous luxury yacht is just what you need to relax and unwind! 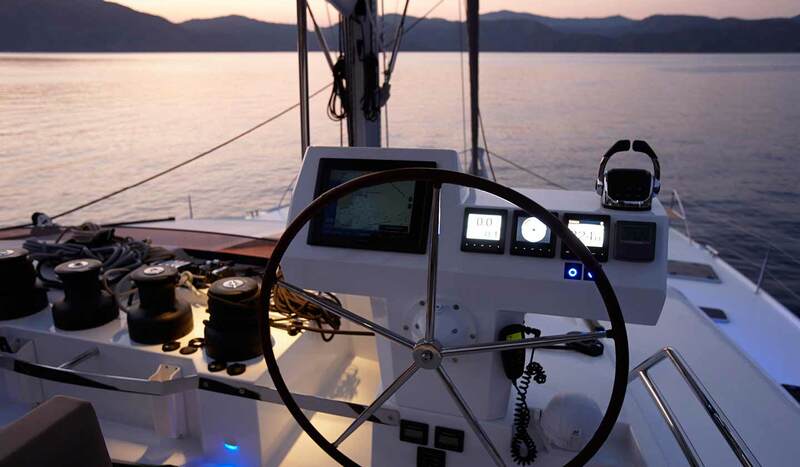 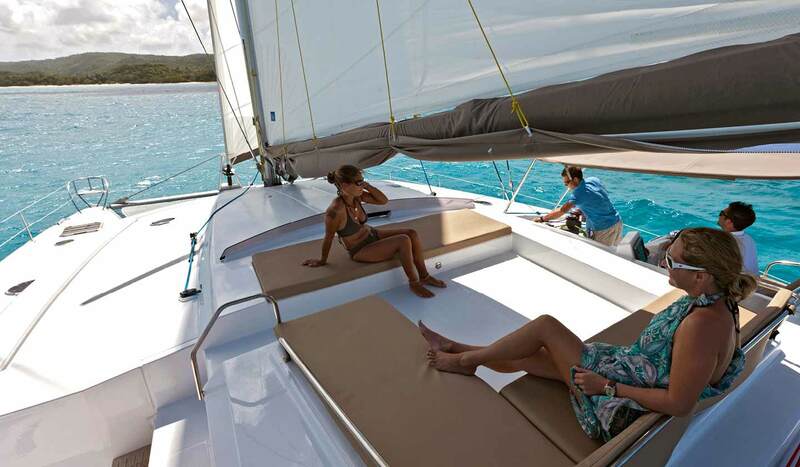 Combine that with the power and speed of our Luxury Class catamaran and you’ll be island-hopping in both comfort and style. 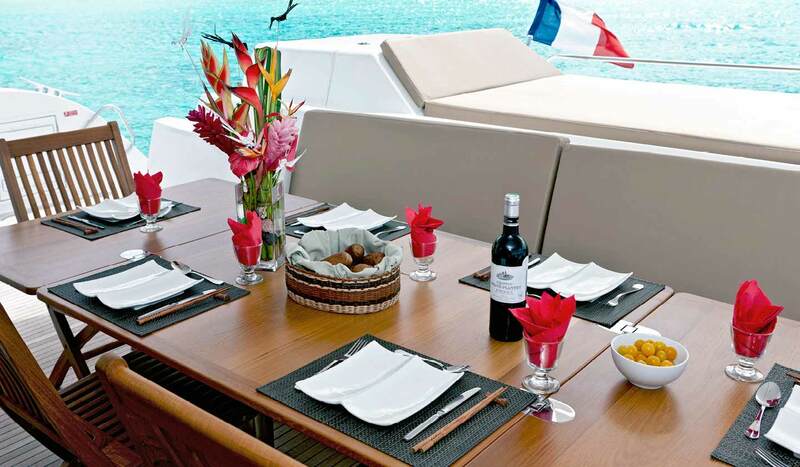 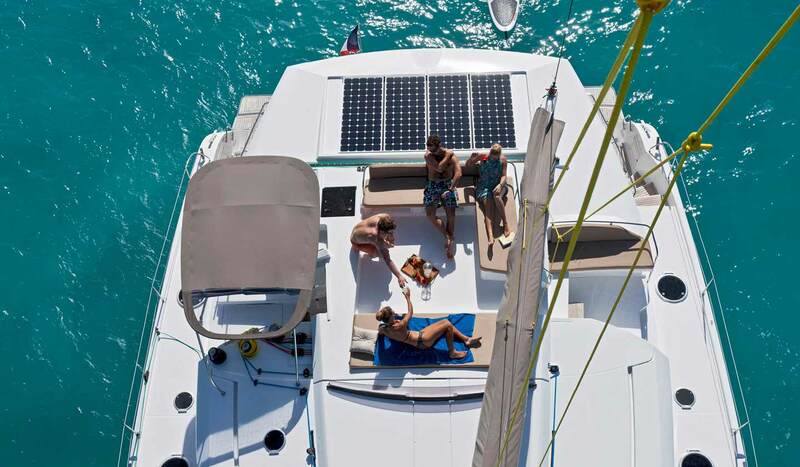 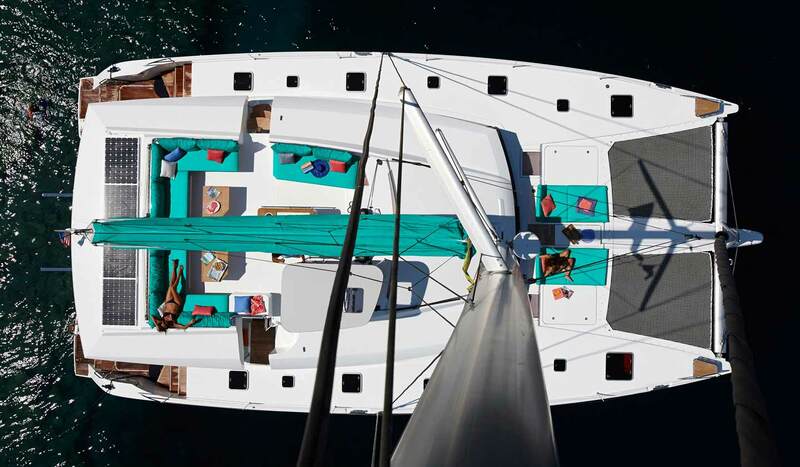 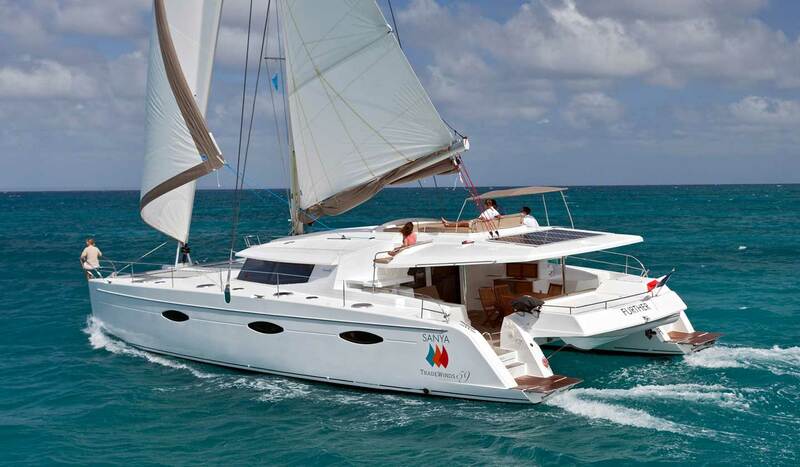 The TradeWinds 59, exclusively designed and built by Fountaine-Pajot for TradeWinds, commenced charters in 2012. 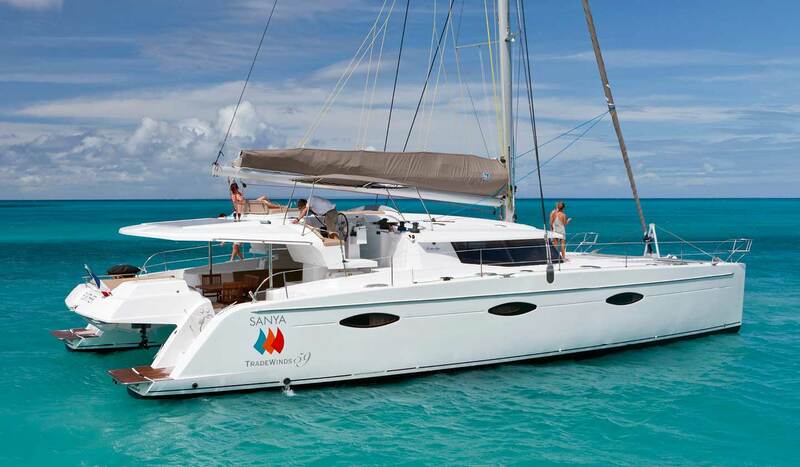 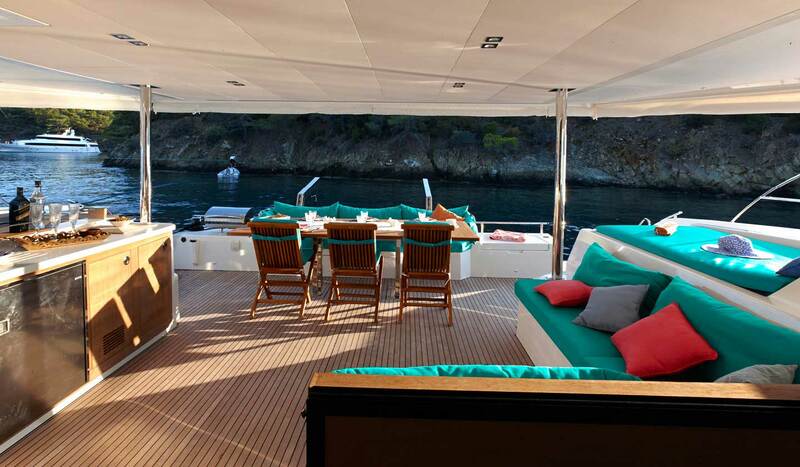 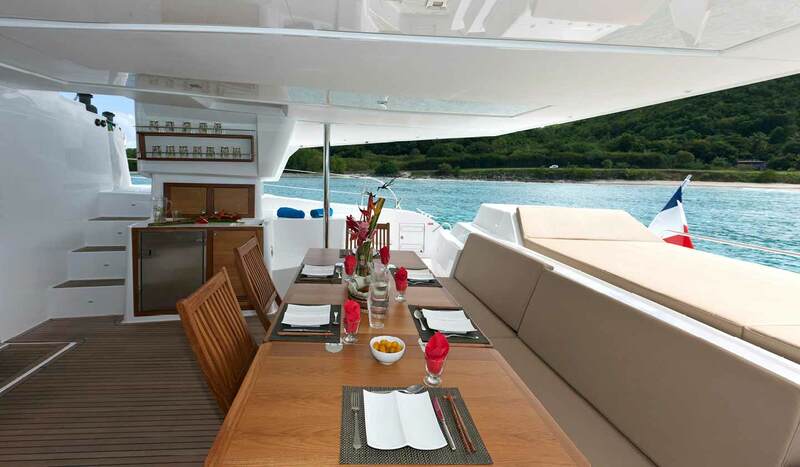 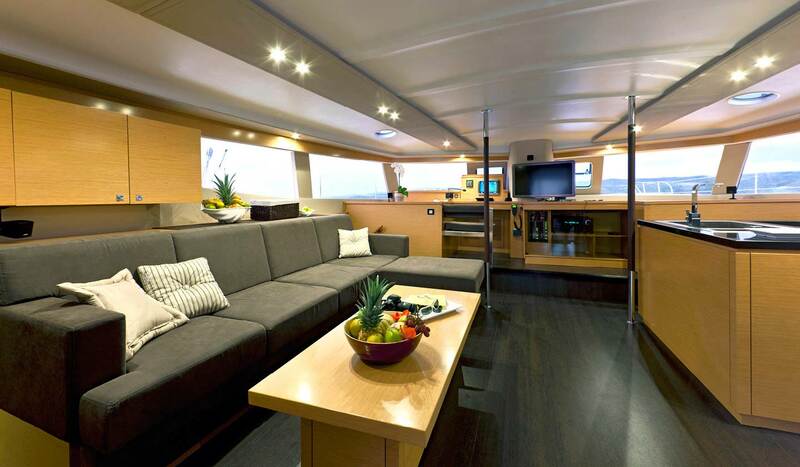 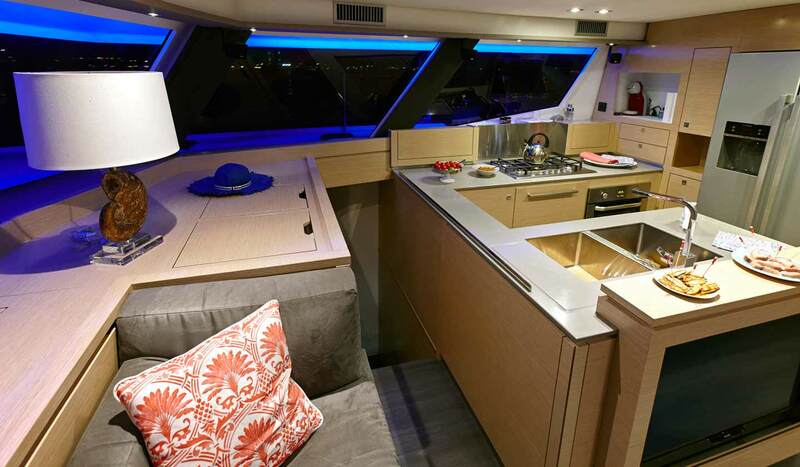 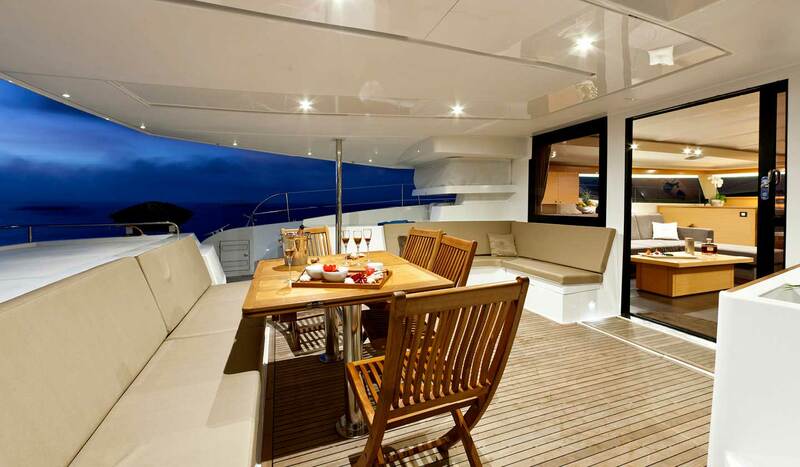 The TradeWinds 59's are exclusive to Luxury Class. 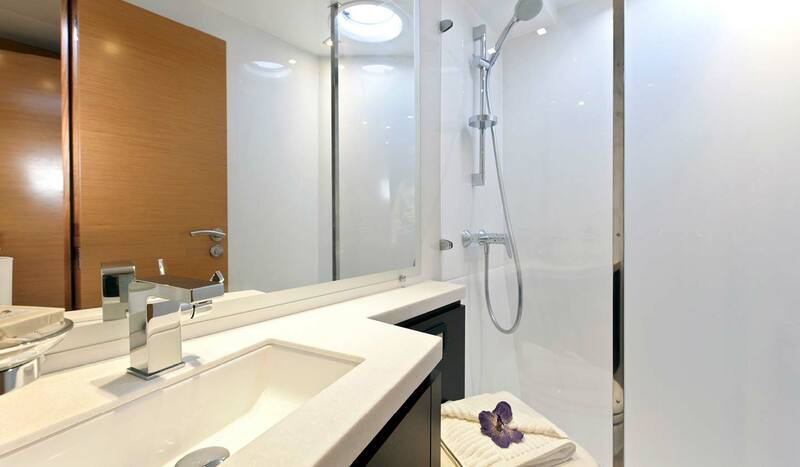 They are all near identical apart from a few cosmetics. 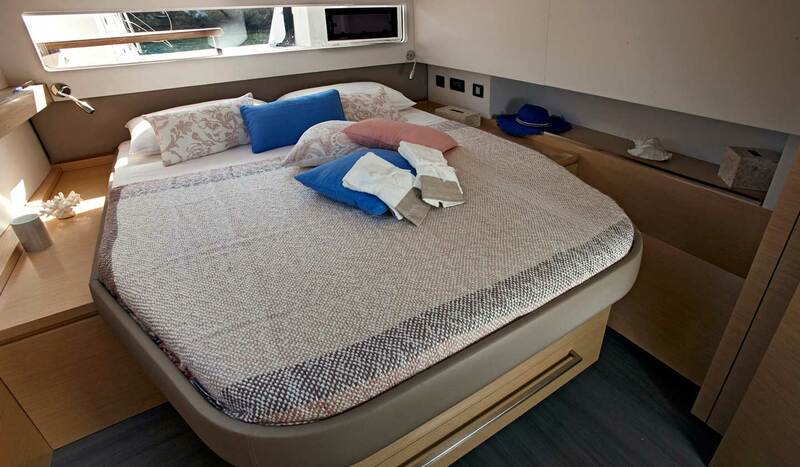 Each has 5 spacious Luxury cabins each of which have Queen sized island beds, room controlled air conditioning, en-suite shower and bathroom. 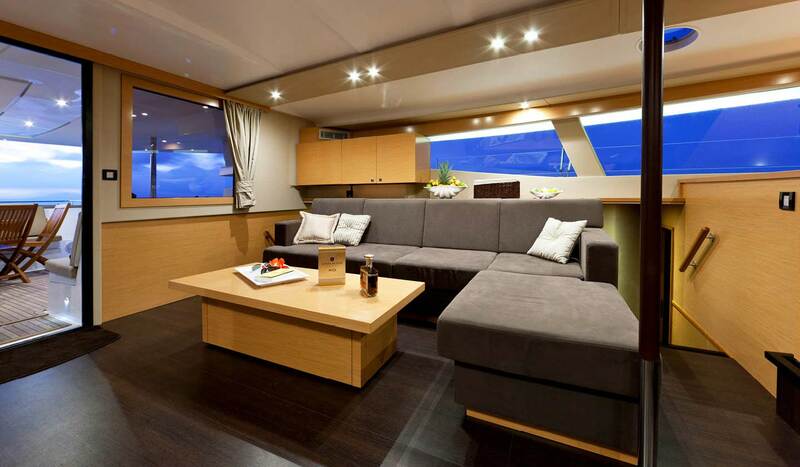 She is elegant, high performing, spacious and offers every convenience combined with the Luxury Class trim. 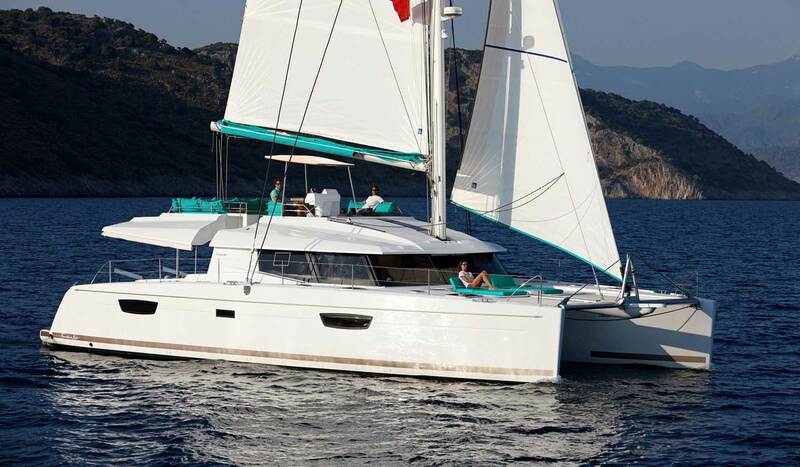 The TradeWinds 60 is a boat designed to fully enjoy the sea, in great comfort. 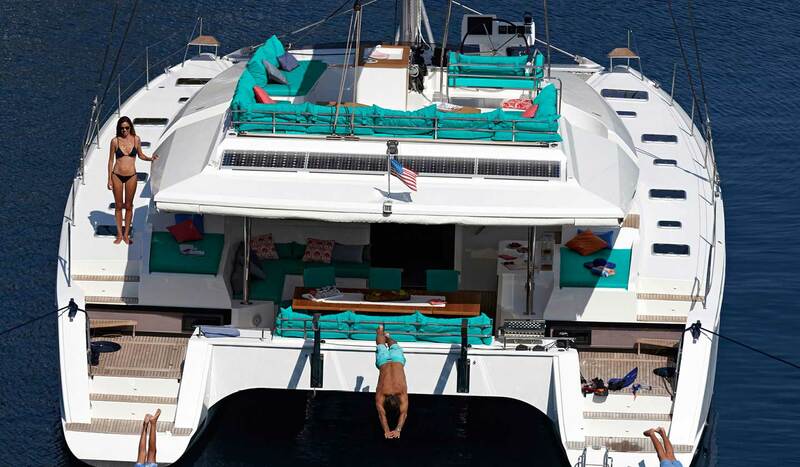 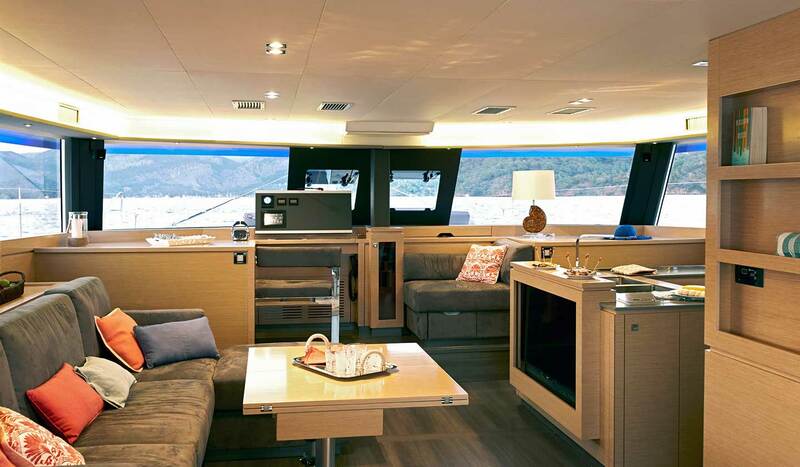 She has a 25 m² cockpit to live 'inside and out', a forward deck with a modular area for sunbathing, and a Flybridge with two entrances (port and starboard) including sunbaths and a protected helm station, making her very enjoyable.